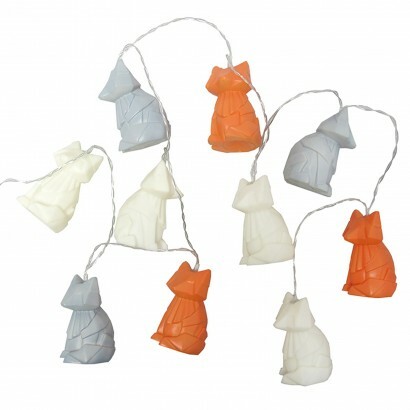 Ten little origami styled foxes make up a stylish but cute light chain that's ideal for adding character and soft light to children's rooms of all ages. 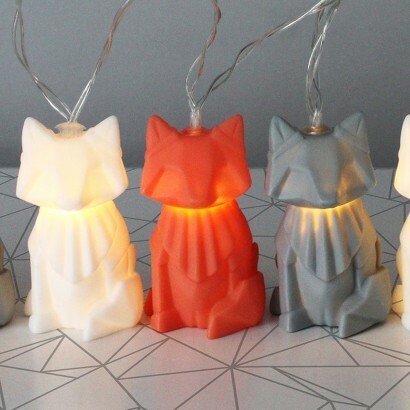 With little foxes in grey, orange and white, each fox is lit by white LEDs to cast a stunning warm glow that highlights the origami folds and detail for stunning effects. 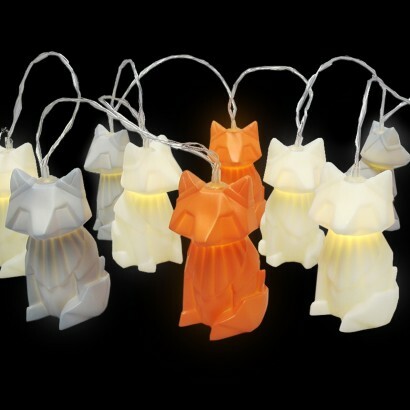 Battery operated and with a clear cable, these decorative lights can be placed anywhere and look fantastic looped around bed frames, mirrors and more for soft feature lighting.